Cascading Style Sheet or CSS is the way through which the web designers define how the website will appear to the readers across the globe. It was developed in the year 1997, so that the developers could create different content that could perform well in HTML. In the initial phases, the emphasis was on the markup language and not the layout and design. It was not until the year that the use of the style sheet was common practice among the web designers. It was then the web developers incorporated the various aspects of CSS into web designing. Of late, with the evolution of different web browsers, various levels of CSS have also evolved and are used by the designers. The world of web is always under constant evolution. Thus, it has in store various features that help in creating attractive layouts for the website. Prior to the introduction of CSS, the markup language was used to create the feel of the website. The codes used in these pages were heavy and often quite clumsy. But the designing techniques changed after the introduction of CSS. With the style sheets, now the web designers could make web pages that are consistent, effective and easy to maintain. Incorporating the different elements of designing to the web pages is easy with CSS. Apart from this, a host of advantages is attached with the use of CSS. It makes the pages load faster than those not based in the style sheets. Initially, when the table-based layouts were used for the web pages, it took much time to load. Browsers can now cache the web pages, and they do not have to interpret all the tags individually. Visual consistency is also assured with the use of CSS. Designers do not have to work on an individual page; rather alteration in tags of one page will be reflected through different pages. With CSS, the web designers can make the websites more interactive with the use of various line heights and font size can do wonders with the webpage. The best thing with the use of style sheets is that you can create web pages that can be used seamlessly by the people with disability.Accessing the websites from different web browsers is also easy as it is compatible to various web browsers. As pages load fast, the spider can crawl fast through these pages. Search engines find it easy to determine the different contents in the web page.As the search engines depend on the structural organization of the pages, the designers can place different elements on the page, and this is helpful for the search engine organization. 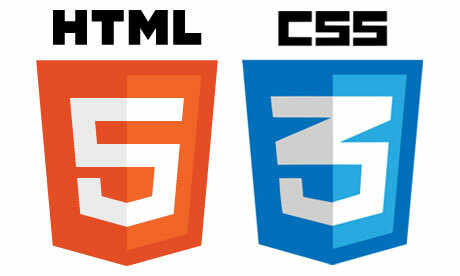 With time, different versions of CSS have evolved to aid the web developers. The latest version of CSS helps in creating styling rules that can change the arena of web design. It is now considered to be a thing for the future. Incorporating the best practices can help the web designers to create attractive websites. Today much of the layout of the websites depends on the use of CSS. These are used for the buttons that are used for the navigational purpose. The predominant use of CSS is noticed in the Call to Action buttons. The CTA buttons act as a bridge between the website and the target audience. Another use of CSS is in the contact forms. These forms determine the conversion rate of the website and much of the reader’s behaviors are reflected through the same. Thus, CSS plays an important role in determining the conversion rate of the website. You can also add an effect to the website with the help of CSS. Author Bio: Alex Murdoch is a seasoned web designer. He writes blogs on web designing, in the recent one he has written about the evolution of CSS. Here, you can have an insight of CSS. This article is good and suitable for the creative guy. I thought it was difficult to create another drawing with CSS, even the abstract drawings. This article improves me to know more about CSS and realizes me to be the creative person and express my ideas in responsive web design. So, thank you for the information. This is really amazing and useful for me and others too. I will surely recommend this article to my colleagues and will be waiting for some more new posts. You must be aware of the best CSS overview, whenever you are trying to deal with responsive web design. This is one of the major options, related with the web designing field. For the initial stages, the main area of concern relates with he best markup languages, along with the proper use of style sheet. You can also try and incorporate the aspects of CSS under the field of web designing forum. With the evolution of different types of browsers, you might want to introduce the latest CSS version, for your use. You can take a look at the past and incorporate the feature, as related with it.